If the importance of a town is reflected in the variety and the quality of the cultural events Montecatini is with no doubt a place of crucial interest. Since the 19th century the greatest Italian opera composers used to spend some time in Montecatini S.P.A. to have a rest and to get inspiration for their music, which has contributed to make our town well known all over the world .Through the passing of time music and culture have remained vital aspects of the town, confirming the strict link between past and present and making Montecatini an ideal place for art and emotions. That is why it seemed sensible to create a musical festival representing the town itself ,with the aim to promote the knowledge of music and favour the appreciation of the cultural heritage of our region. In particular the Festival presents the great tradition of the opera , offering the new generations,who are tomorrow’s audiences , the opportunity to know a really important part of our history . Montecatini Opera Festival , totally dedicated to opera lovers, is realized by the Parnaso cultural association with the support of the town council and the Thermae S.P.A.
Music doesn’t need translation, its universal language reaches the deepest emotions in the heart of all those who are willing to listen to it. The talent of an artist is measured by his capacity to involve the audience emotionally ,which is actually the main feature favouring the knowledge of music . The artist who comes to the stage wearing a “dinner jacket “with a distant expression does not increase the interest in music. Since 2005 the Festival has had its own orchestra which cooperates with well known artists: This orchestra is formed by musicians ,already playing in important ItalIan orchestras or musicians teaching in conservatories or academies of music. The same orchestra offers different ensembles its repertoire is really large; from baroque music to classicism ,including also the most famous chamber music pages of the 20th century, with particular attention to the Italian Opera, even through the performance of unpublished scores. In a collaborative view with other institutions, the Festival orchestra has worked with the high qualified Luciano Pavarotti foundation, the Verona Arena theatre, the foundation Promusica Pistoiese and other music associations, such as Puccini Opera association, the Music Association from Lucca, the Music Association from Montecatini. Recently it has started its cooperation with Slow Food Association, based on the belief of strict relation between Music and Food, to share extraordinary meeting occasions. “What is love for our souls is appetite for our bodies. 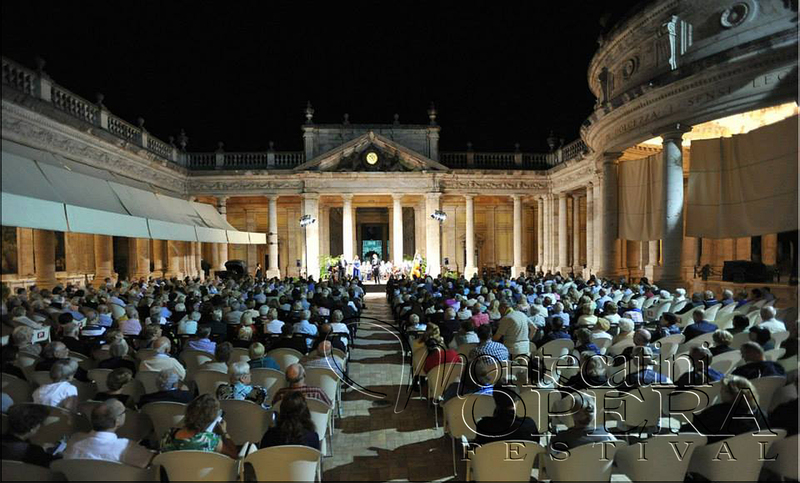 © 2019 Montecatini Opera Festival. All Rights Reserved.